Each year the International Day of Peace is observed around the world on 21 September. The United National General Assembly has declared this as a day devoted to strengthening the ideals of peace, both within and among all nations and peoples. The Sustainable Development Goals are integral to achieving peace in our time, as development and peace are interdependent and mutually reinforcing. Sustainability addresses the fundamental needs of the present without compromising the ability of future generations to meet their own needs. Modern challenges of poverty, hunger, diminishing natural resources, water scarcity, social inequality, environmental degradation, diseases, corruption, racism and xenophobia, among others, pose challenges for peace and create fertile grounds for conflict. Sustainable development contributes decisively to dissipation and elimination of these causes of conflict and provides the foundation for a lasting peace. 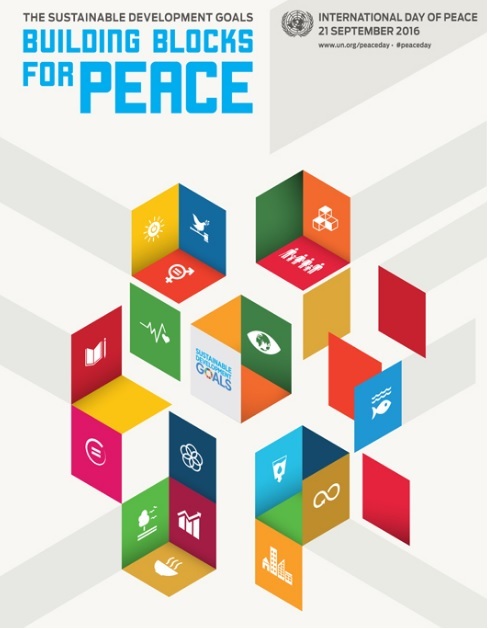 Peace, meanwhile, reinforces the conditions for sustainable development and liberates the resources needed for societies to develop and prosper. Every single one of the 17 Sustainable Development Goals is a building block in the global architecture of peace. It is critical that we mobilise means of implementation, including financial resources, technology development and transfer, and capacity-building, as well as the role of partnerships. Everyone has a stake and everyone has a contribution to make.